Safeway has a number of ways you can use coupons to save on your grocery bill. One of the best ways to bring your weekly Safeway shopping bill down is to shop the items that are on sale for that week, and match them up with available coupons. Be sure to check out our Safeway page here for more information on how to save the most at Safeway too. We are changing the way we share the weekly coupon match ups for these weekly ad deals. Now you can get these coupon match-up deals on the go, when you download the Favado Grocery Shopping App which is available for iOS and Android devices! Favado is a FREE mobile savings app we think you’ll love because it’s a way to have all of your favorite stores deals in one place to help you save time & money by finding which store is offering the best deal on your favorite products. 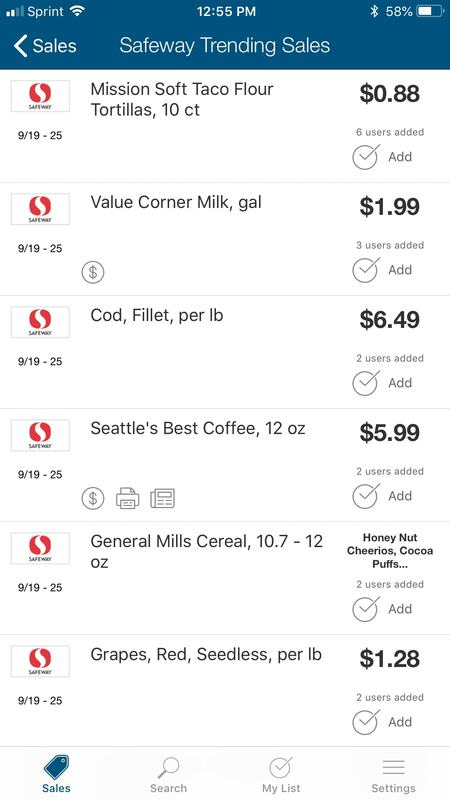 This is the same program we were using to share the coupon match-ups, but by using the app directly you will be able to access the store list in your specific areas. By using Favado on your mobile device to easily search your store’s deals, you can save up to 50 – 70% on your groceries! Start by downloading the Favado app on your mobile device to access the coupon match ups when you need them. Once you download the app, you can add any stores you like to shop at to your list, and get coupon match ups for them all in one place. 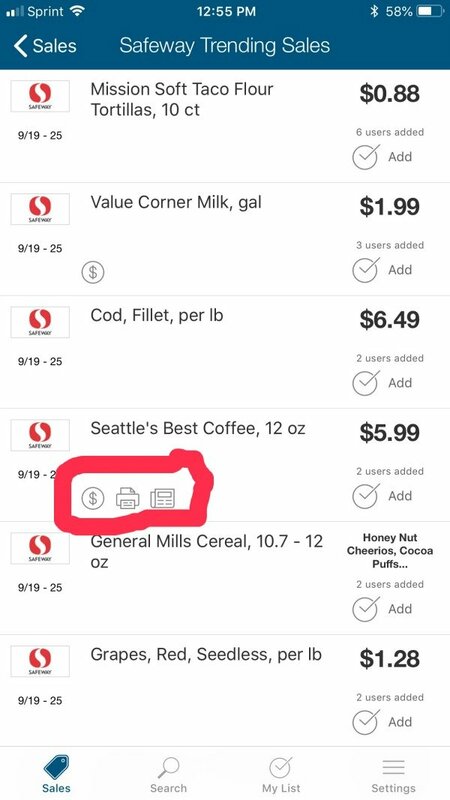 For Safeway you will open your app and create an account or continue as a guest. You can then add Safeway as one of your stores and then select the location nearest to you. If you select those items, you can click to open them and find out where you can find those specific savings (example shown below). If you are looking for specific items, you can search for them using the search icon, and find just those. There are also some additional benefits when you use Favado. You will be able to use things like price comparison, to see if a specific item is available for a lower price at another store, save your personalized shopping list, set up notifications to get alerts for new sales, and more. 1) Enter your information at Favado.com to create an account. Find all Safeway Savings information on our main Safeway page here. Ways to save at Safeway with Coupons (overview on how to save the most using coupons at Safeway). 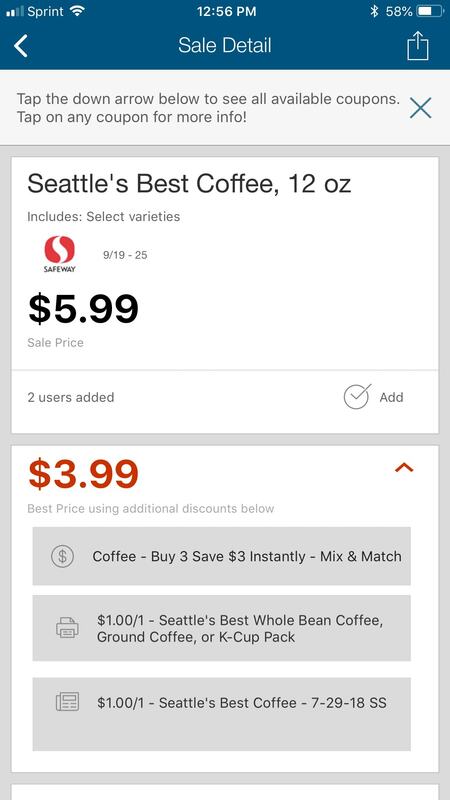 The Safeway Just 4 U program (use eCoupons in the Safeway app or online). Safeway Delivery Service – use promo codes and eCoupons to save shopping at Safeway online.